This jam is the product of life-art-inspiration-art-life-living. I love soursops and have recently begun to experiment – creams, desserts, cocktails – no sphere is safe. I was thrilled when Chikodili Emelumadu, of Igbophilia (How to love Igbo things or what you will) shared that I would be ‘staring’ in a short story she’d written. Please read it! Why? How? What? Well, here’s what she has to say about the inspiration for her story, a sci-fi piece set in a dying, abandoned earth where some senses – taste and smell are rare commodities but can be purchased for a price. There are many things I love about the piece, beyond being some of the inspiration and featuring in it. I love the fact that this is science fiction – a genre which I do not think of as ‘Nigerian’. Here, the use of Nigerian names does it for me. In the story, my Kitchen Butterfly Artificial Intelligence (AI) persona has manicured nails. Sigh – as far removed from current situations but enough to give me hope…there might be redemption yet. I’m stunned by CE’s mention of boubous. I’m wondering how she knew, knows that I could live in a boubou all the days of my life. How I find them comforting, like tents. How the shield and hide and warm. And so it is that I get some ripe soursops, and carefully take them apart so no toxic seed is included in my mix. 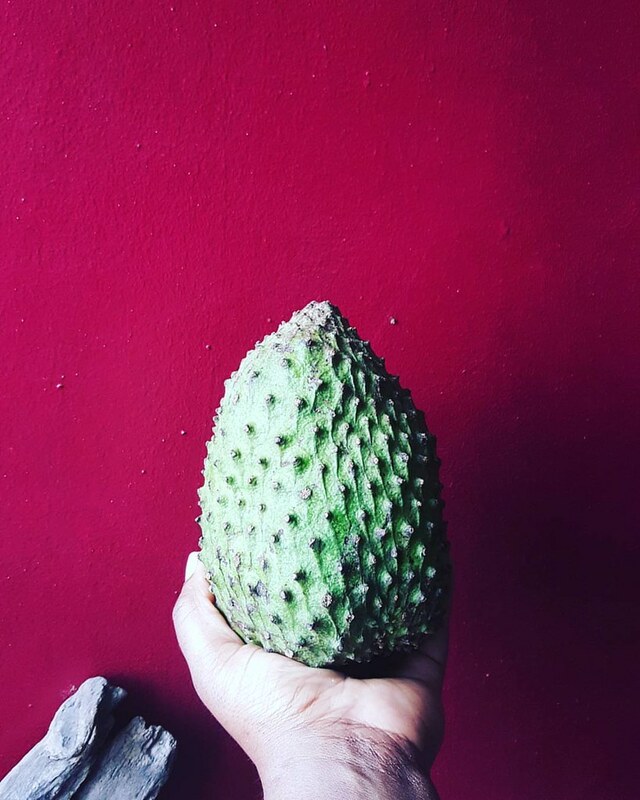 I begin by making my soursop cream. It’s really easy, I combine equal amounts of pulp and water to give me a cream. The end result is ‘textured’ – I shy from lumpy because that’s not what this is. If you want a smooth mixture, then pass through a food mill or sieve. To 2 cups of cream, I added the seeds of 6 green cardamom pods and 2 tablespoons of sugar and blended again. Be careful when you add the sugar. I ruined a batch because I over did it. It’s best to add by the tablespoonful. 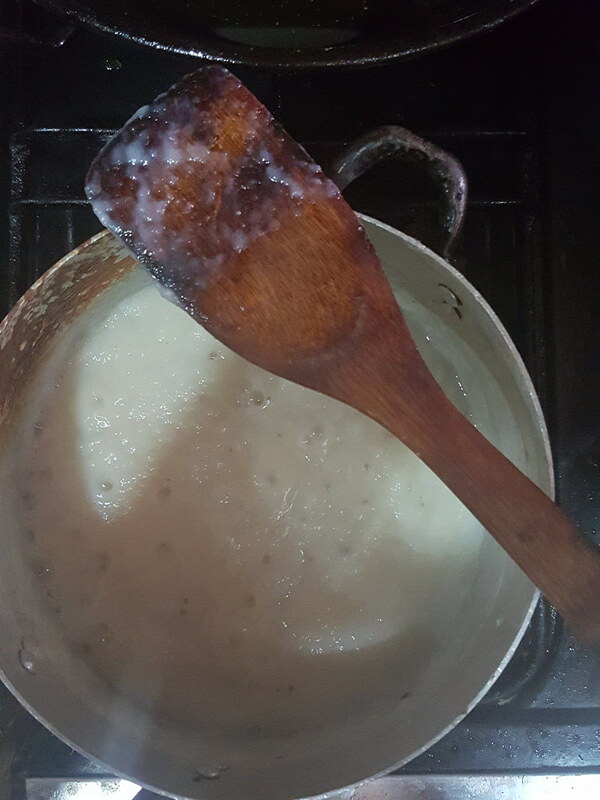 Set on low heat and cook till mixture begins to bubble. Taste as you go along and adjust sweetness to taste. When mixture has bubbled :), it might splatter so be careful – remove from heat and stir in finely grated zest and juice of 2 limes. Take the mixture off the heat and allow cool. Enjoy on toast. by the spoonful, over ice cream, anyhow you choose. 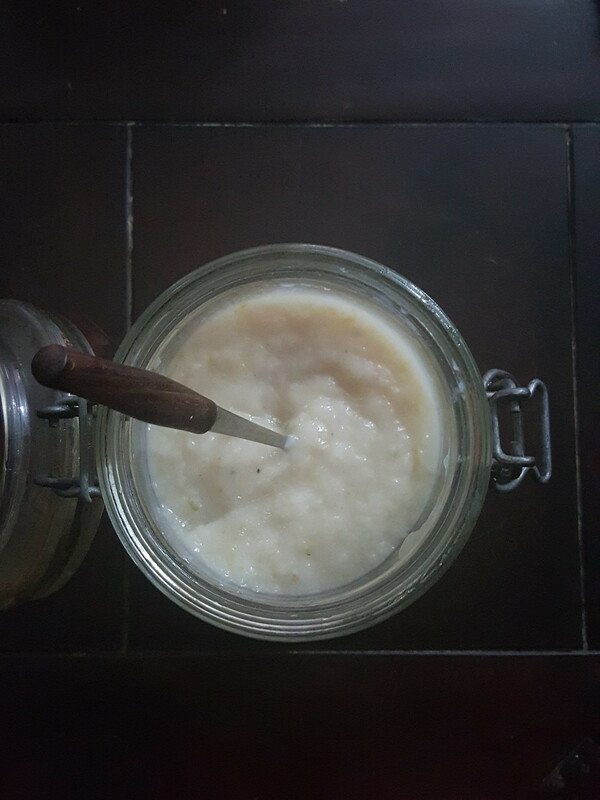 A few suprises – soursop cooks really well as a jam without loosing much of its characteristic flavour or creaminess. And it works super well with cardamom and limes. The limes really lift the flavour and cut the richness without being bitter. I love. Love, love, love it when life imitates art. Thank you Chikodili.